If you are thinking about remodeling your home, you might be a bit worried about how much you will spend on the project, and you could be wondering how you can save a little bit of cash. You have probably heard that doing everything yourself is a good way to save money, but this is not an option for everyone. Even though simple things like painting can often be handled by the homeowner, things like home additions, electrical work and more shouldn’t be done by anyone who doesn’t have professional experience. Plus, you might not have the time, the inclination or the physical ability to do the job yourself. Luckily, there are still ways that you can save money on your remodeling project, even if you are hiring a professional for home remodeling in Bethesda, MD. Consider these tips to cut costs while still getting the professional results that a good contractor can provide you with. First and foremost, you will not want to hire the first home contractor that you come across to help with your remodeling project. Along with comparing other things, such as experience, you will also want to compare pricing when hiring a contractor. By shopping around, you might find that you can save a surprising amount on your project. Some people are embarrassed to talk to their remodeling contractors about their budgets, but there is no reason to feel embarrassed at all. Your contractor’s job is to help you plan and execute the best possible remodeling project without spending a penny more than you can afford. Going ahead and being honest with your contractor about what you can honestly afford now is smart. Then, you won’t have to worry about going over your budget early in your project. Plus, your contractor can talk to you about the best ways to use your funds and can help you determine when you should splurge (such as on things that will boost the value of your home or the things that are most important to your family) and when to save (perhaps on trendy items or items that won’t get seen very much, such as light fixtures in closets). Your contractor can always help you find the materials that you need to remodel your home. However, it can pay to ask for a materials list and then do a bit of your own shopping. Your contractor might work with a few specific material providers, but you can shop online, compare pricing at local stores and more to find the best prices. Plus, along with allowing you to save money, this can help you get more involved in the project yourself, and it can allow you to find materials that you might not have found elsewhere. It’s the perfect way to customize your project, get involved without having to do any of the physical work yourself and save quite a bit of money in the process. 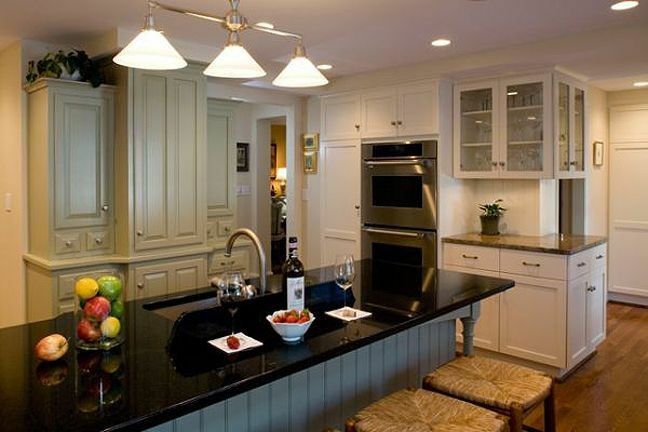 Sure, you might love the idea of tackling a remodeling project similar to what you might have seen on all of the home improvement shows, allowing you to walk into your home and see it completely transformed all at once. Realistically, however, there is nothing wrong with tackling your project in steps. Then, you can break up the cost of the remodeling project and can make necessary repairs and changes now, then save up for cosmetic remodeling later. As you can see, it is possible to save money when hiring a professional to remodel your home. If you are looking for a great crew that you can trust for both large and small remodeling projects, contact us at Pagenstecher Group today.